(Bloomberg) — Ecuador President Rafael Correa’s attempt to defuse nationwide protests by back-tracking on two controversial tax proposals failed to prevent opposition supporters marching for a ninth straight day Tuesday. 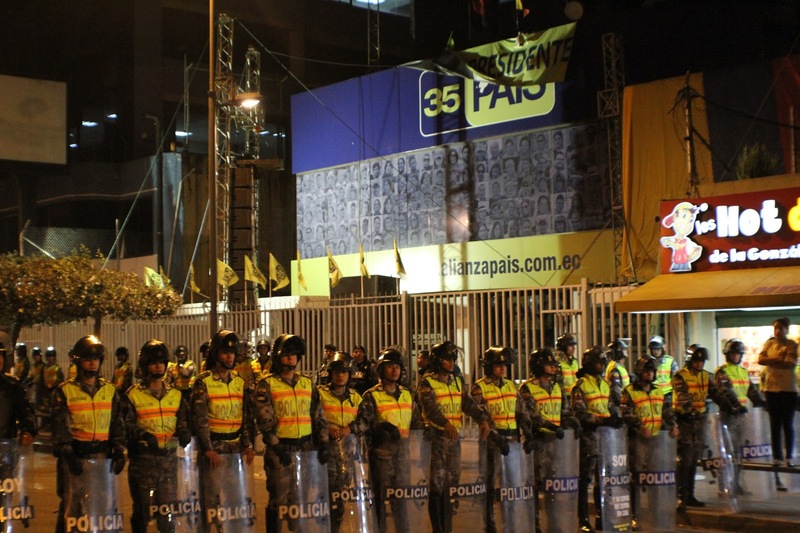 Protesters gathered in the capital city, Quito, less than 24 hours after Correa called for calm and announced he would delay plans to raise taxes on inheritances and real estate profits to avoid violence. Correa “temporarily” withdrew the plans just hours after saying he wouldn’t “cede a millimeter” to protesters’ demands. It’s probably too little to stop the protests from growing in the coming days and months as opposition groups seek to boost support ahead of presidential elections in early 2017, said Michel Levi, coordinator of the Andean Center of International Studies at the Universidad Andina in Quito. Support for Correa, one of Latin America’s most popular presidents, fell 13 percentage points to 55 percent in June, according to a report published Tuesday by Quito-based research organization Quantum Informe. The report didn’t give survey details.